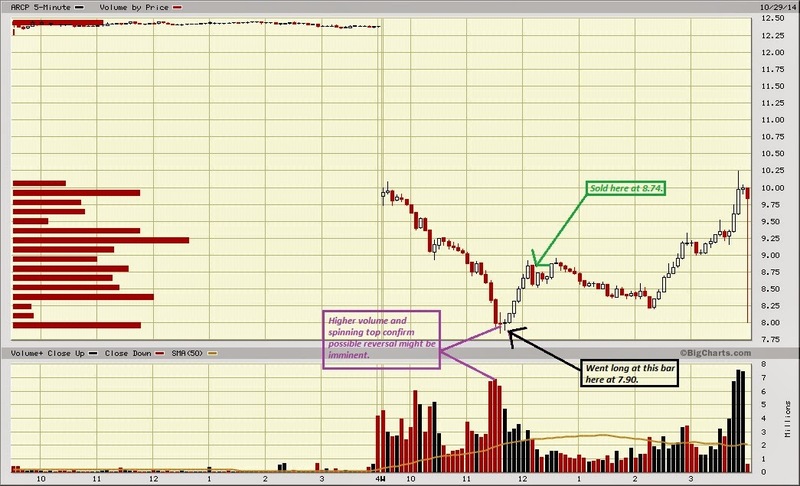 TRADER 9: Trade of the day, ARCP!!! Trade of the day, ARCP!!! So I saw a perfect bounce play forming mid-day on ARCP when it formed a spinning top with higher volume after a gap down on the open.Went long just 500 shares at 7.90, and sold it at 8.74 for a quick profit of $490 in less than 45 minutes. Trade of the day, PTIE!! !